What happens when you combine all of a holistic nutritionists favorite thing? 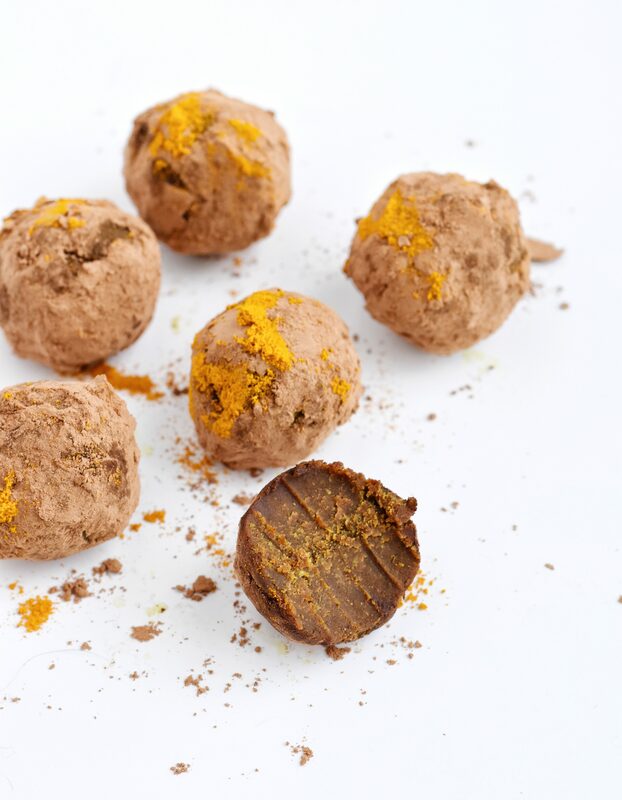 Paleo Adaptogenic Golden Milk Chocolate! 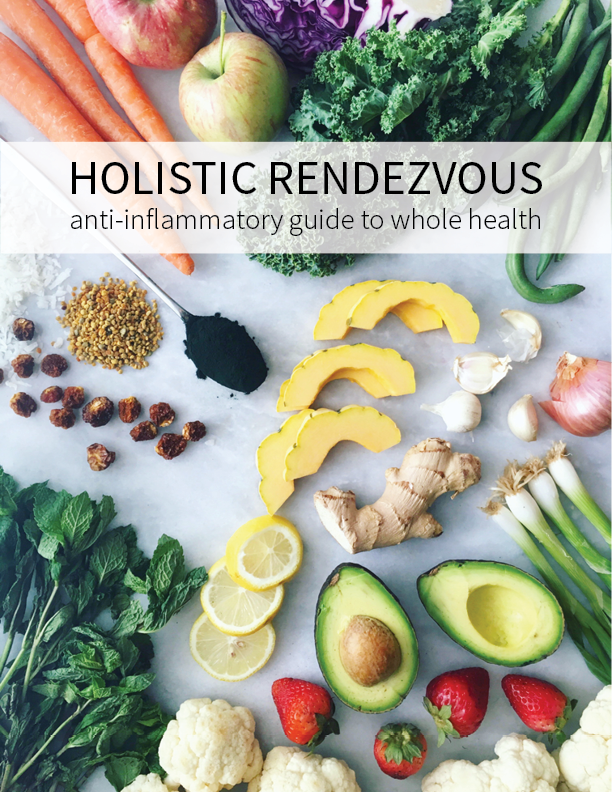 If you know me, you may already know that I am obsessed with adaptogenic herbs, chocolate, and all things anti-inflammatory (golden milk is super anti-inflammatory)! For starters, let’s talk about adaptogenic herbs! Adaptogenic herbs are what they sound like, adaptogens, meaning they help you adapt. This sounds pretty obvious, but their benefits run more deeply. Adaptogens are powerful at helping you deal with stress, which is the number one cause of inflammation and disease. 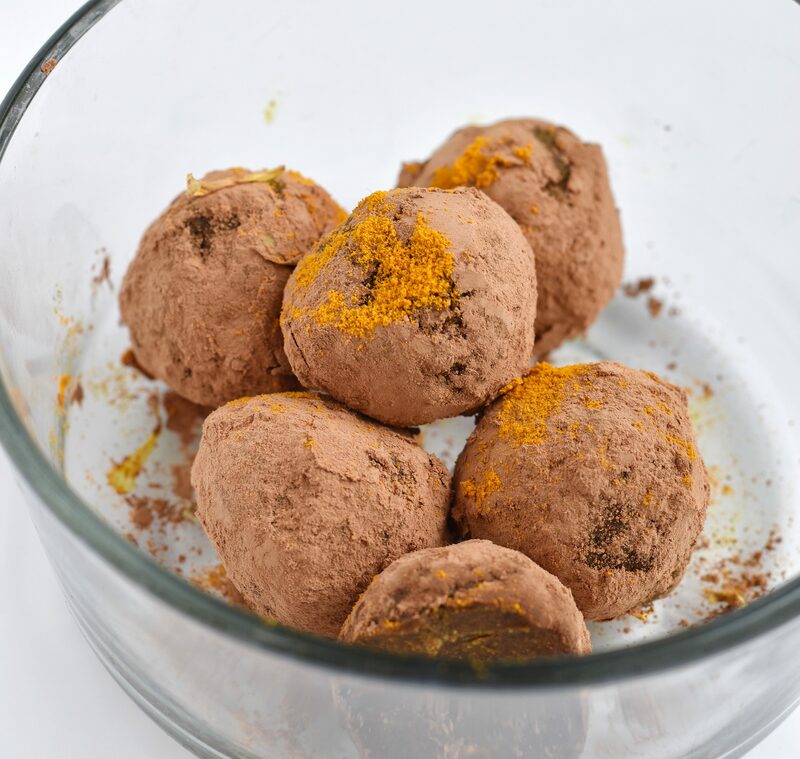 Ashwagandha is the adaptogenic herb that I used in this Adaptogenic Golden Milk Chocolate because it is revered in Ayurvedic medicine for lowering cortisol levels, improving adrenal function, and balancing thyroid hormones. It also is fabulous for strengthening the immune system, increasing energy, and most obviously, reducing stress! I love this ashwagandha! Now let’s talk about inflammation. As I stated, stress is one of the number one causes of inflammation, so adaptogens are able to help with inflammation from this standpoint. However, I wanted to take it a step further and add anti-inflammatory spices, most notably, turmeric. Turmeric is super in right now, so I’m sure you have heard about its anti-inflammatory and antioxidant benefits. Turmeric, or golden milk has been all the rage since turmeric came into the limelight. This milk doesn’t just contain turmeric though, it has powerful properties from cinnamon, cardamom, and ginger as well! So we have all of this wrapped into the best little package…chocolate! I love chocolate for obvious reasons, but it is also an awesome antioxidant and loaded with minerals, yay! I mean honestly, do you need any more reasons to want these balls in your mouth? I think not. 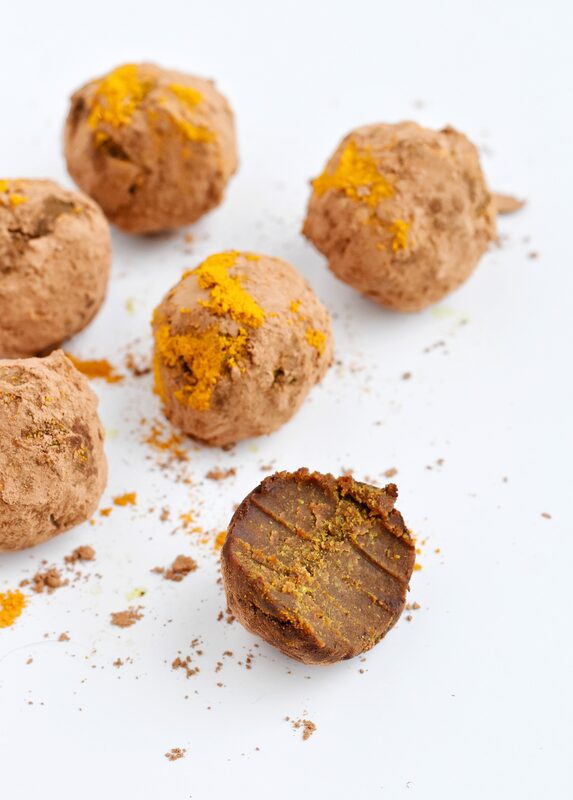 Let’s get down to it… here’s the recipe for this Adaptogenic Golden Milk Chocolate! What do you get when you combine all of your favorite things? Adaptogenic Golden Milk Chocolate! Blend all ingredients into well combined and smooth. 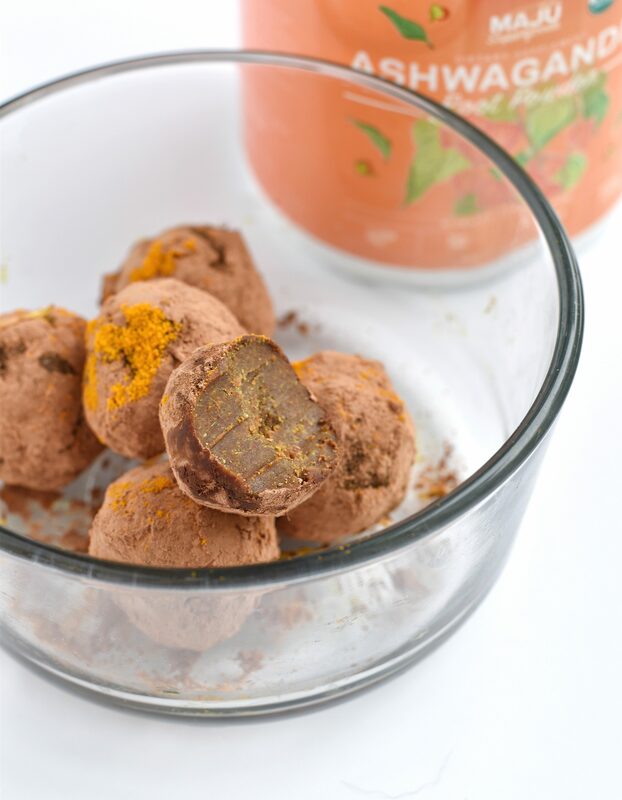 So now that I have talked you into making this delicious Adaptogenic Golden Milk Chocolate, go do it! Then let me know what you think and tag me in your photos on social media and use the hashtag #holisticrendezvous !